Sport fashion this year is undoubtedly the paddle surfing, a fun exercise that will leave a body tenfold. If you practice it often will help strengthen buttocks and abdomen and giving to show off an enviable figure this summer. Celebrities like Sean Pen is carried out in Malibu, but you have to go that far because in Marbella you have at your fingertips. The school dedicated to the sport in the city offers the possibility of renting equipment in addition to monitors that can show you the basic tools to begin teaching. If you decide to give you a break this summer do not hesitate to contemplate this option to blend surfing and rowing. A new way to enjoy life and sports. 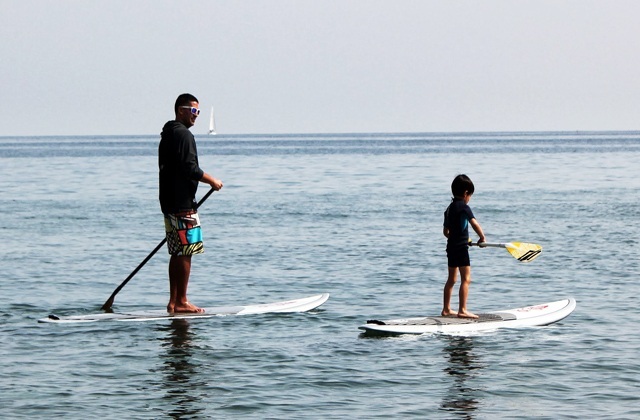 So you are ten reasons why you have to get close to Marbella to practice paddle surf. The paddle surfing is an ancient form of slide in which the surfer uses a paddle to move through the water while standing on a surfboard. The most recent history dates back to the 1960s when the surf instructors Waikiki Beach in using their rudimentary Polynesian canoe paddles to take pictures of their students. It also allowed them to have a better view of your group and give notice of the arrival of the waves in an easy way. 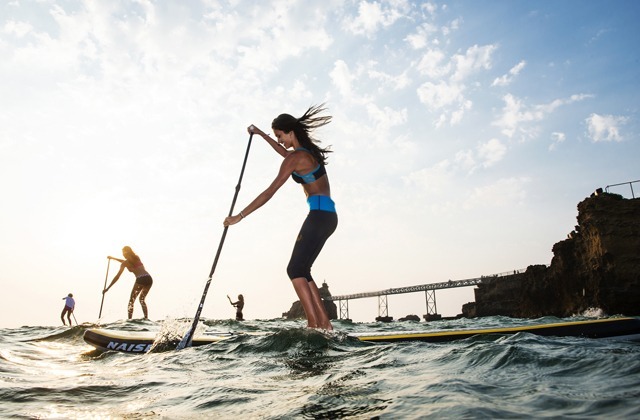 Thus began a new form of training that has spread to this day under the name of paddle surfing. Balance and achieve progress mounted on a surfboard helped with an oar makes a large number of body muscles move. The glutes and abs are the most involved, so you know, if you want to get fit not hesitate to come to Marbella and do sport. A safe bet for achieving your figure facing these days of summer approaching. If you can spare a few extra kilos this sport is perfect for losing weight. In just one hour you can burn 480 calories while practice models arms, chest, abdomen, thighs, legs and buttocks. The effort to stay on top of the table and the effect of rowing is making sudemos and, therefore, we lose this overweight. Marbella is fortunate to have a school sport fashion celebrities like Pierce practiced Brossnan, Jennifer Aniston and Matthew McConaughey. If you want to paddle surf here in this costasoleña city have the option, where you can also purchase the best training with specialized monitors. If instead you do not feel like sports, in school you have the option of spending time in a pleasant beach bar sitting comfortably while sipping a cold beer and watch your family practice paddle surf. Clear your mind and recharge the batteries. Contact with the water and the wind generates a sense of liberation in the person who is practicing this sport. This exercise helps to coordinate and carry out combat psychosomatic balance and reduces stress. If you are overwhelmed with work and the stresses of everyday life do not hesitate to come to Marbella to practice Paddle Surf. One advantage of this sport is that it can be done as a family because it is suitable for all ages. So both parents and children can practice together. It also allows us to enjoy different landscapes as you can paddle at sea, in ports, in lakes, rivers or any large body of water. Evident is that the paddle surfing has great benefits for our body as it absolutely use every muscle. We also recommend to prevent hip problems, knee, ankle or back. Thus, it helps to work coordinating body through isometric exercises that facilitate and strengthen the joint movement. Two features are very important in this sport. First is played on a table that is in constant motion as it is on the water influenced by waves, currents and wind, ie on an unstable surface. The second point is that the table requires an oar propulsion, with repetitive movements that generate force applied to the water and thus it is necessary to balance on an unstable surface to be added to the force applied to the water. If you decide to paddle surf Come to Marbella this summer. 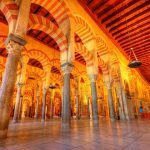 This city of the Costa del Sol has become a paradise and main focus of the province of Malaga in tourist visits. Its old town keeps pictures of great beauty that summarize the charm of the typical Andalusian towns. A place where you can find all kinds of shops and a varied entertainment for everyone. Its typical seafood gastronomy is another of the charms that keeps the city. You know, and sports while having fun, save the figure and enjoy the beauty of the Sea Mediterranean are some of the things you can do in this magnificent plan. Go ahead and try to get in shape with this new sport! 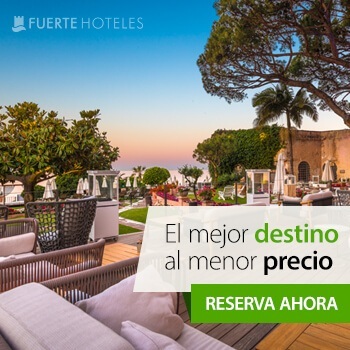 Definitely the best option for staying in Marbella is Fuerte Hoteles . This chain with over 50 years experience offers excellent service as leader. Holidays in couple, family or friends, either way you choose to travel seamlessly adapts these hotels where you can practice many outdoor activities in addition to this new sport, paddle surfing. And for the little kids, the hotels have fun and entertainment program for children. 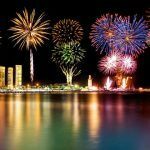 Do not hesitate to stay at Fuerte Marbella and Amàre Marbella Beach Hotel if you go to the two town on the Costa del Sol.